LED lights are more energy efficient light solutions for holiday decorations as they require less power and produce a more focused, direct light when compared to standard incandescent strings. Many people are making the switch from standard Christmas lights to LED lights as the available technology to produce them gets better and the cost is lower, but it's surprising to find that LED bulbs can have problems that mimic their incandescent counterparts. 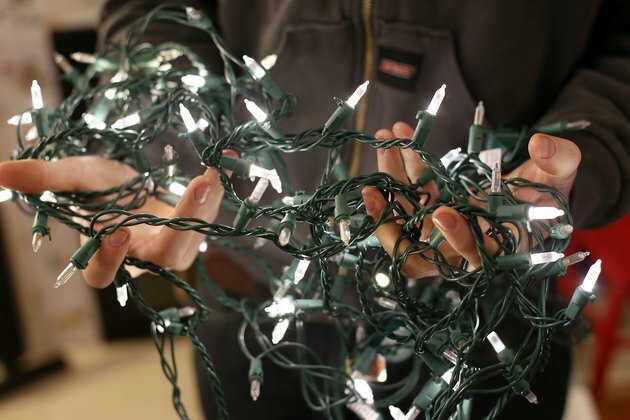 Light strings have been observed to fail about three bulbs per week, so it's important to pick up a replacement string of lights when buying LEDs. Plug in the LED lights to identify any low light emitting or dark bulbs. 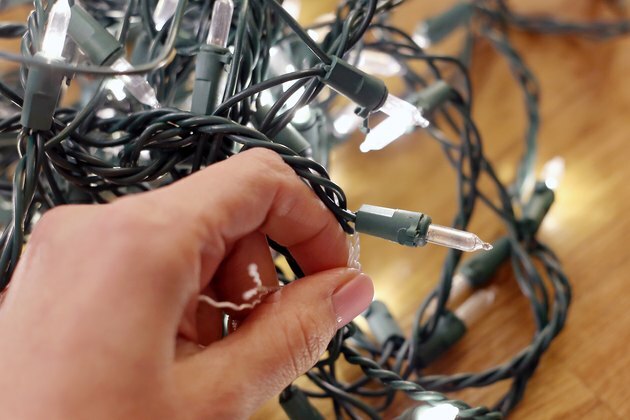 Place a small length of string or a twist tie around the wire near the bulb to help in finding it once the string is unplugged. Unplug the lights. 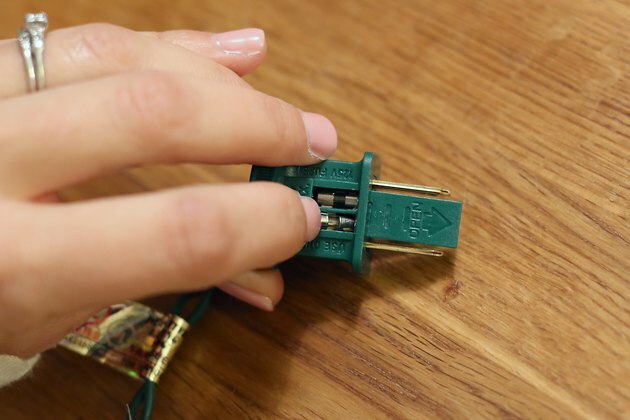 Pull out the faulty bulbs by gently grasping them and pulling them straight out away from the socket. Use care to not crush the bulb as you pull it. Replace with a new bulb from a different string, or from the replacement pack. Push the bulb into the socket gently, and it should snap into place. 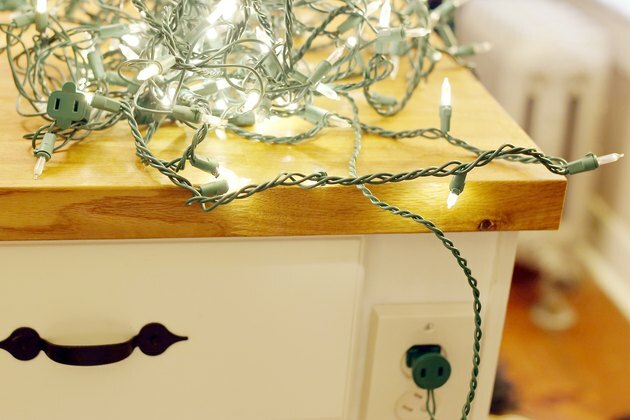 Plug in the string of lights to ensure that the replacement bulb is glowing and that the connection is good. Remove the marker string from the wires. 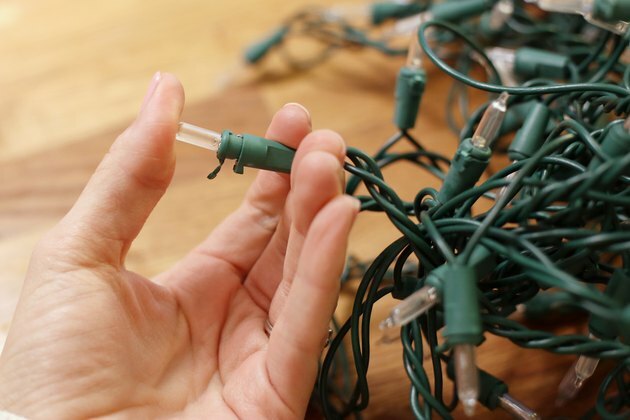 If the entire string of lights does not work, it's time to check the LED fuse. Locate the fuse box on the plug; it will be on the side of the plug and have a small door attached. Open the door using a small screwdriver or butter knife. Pull out the small burnt fuse and inspect the damage. 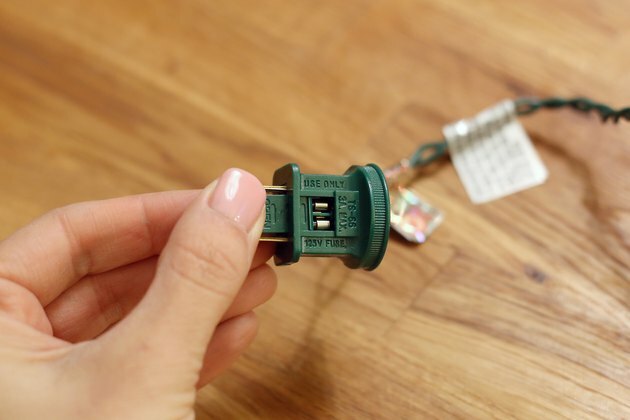 Check under and around the fuse in the plug for melted plastic; in extreme power surges, fuses can fracture and cause damage to the housing of the plug. Do not use lights that have melted the casing of the fuse. Use care to avoid crushing the fuse, as fuses are made of glass. 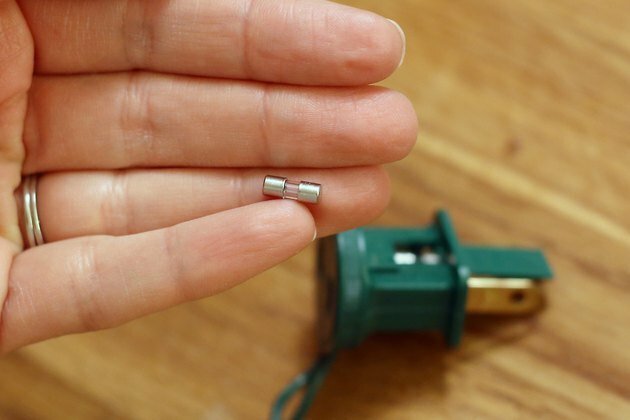 Snap a new fuse into the fuse compartment by pushing on it slightly with your fingertip. Close the fuse box. 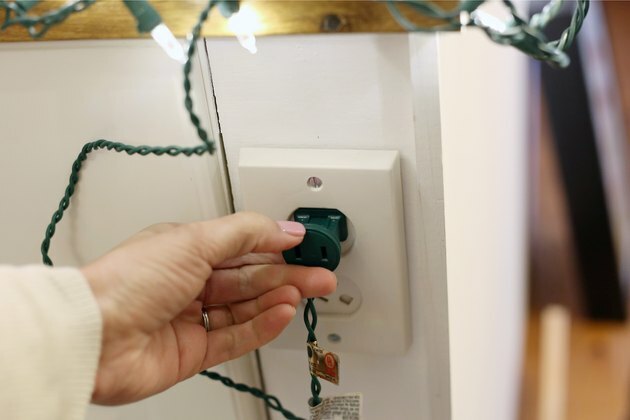 Plug the lights in to test the new fuse; if the string of lights do not light up when plugged in, check the fuse again to make sure it's making good contact.